Keeping track and noticing when you’re being mentioned on blog or on social media isn’t always that easy, the internet is a big place and you can’t sit there and google your own name each and every day. With the tools & services listed in this guide finding these mentions hopefully going to be much easier, these tools will help you find blog post, sites and social posts that mentioned your name or sites that posted your work or other images that are yours. Using image search (or reverse image search) is also great tool you can use when illustrations and images are being shared around the internet and the name of the original creator gets lost and isn’t mentioned, most of the time it’s unintentional and people just forget to say who the creator of the work is and sometimes people just steal other people’s work. More on how to do a image search for your work later on in the guide. Why search mentions about you and your work? Here’s a few examples on why finding out where you or your work has been featured online can benefit you, and how you can make use of these mentions. You can see if anyone stolen your illustrations and reuploaded them on their store, portfolio or blog. Most of the time asking people to stop stealing your work actually work, but sadly not always. Find places that shared your images but forgot to mention your name or website address, this happens from time to time on social media. Find blogs or other places that mentioned your name but not a link back to your portfolio/blog, then you can ask them if they could include the address to your portfolio so that their viewers can find you more easily. Find Pinterest pins where your name or website address is missing in the description, after you found them you can send a message to the person that pinned the image or post a comment on the image. If that doesn’t work you can always report it to Pinterest. 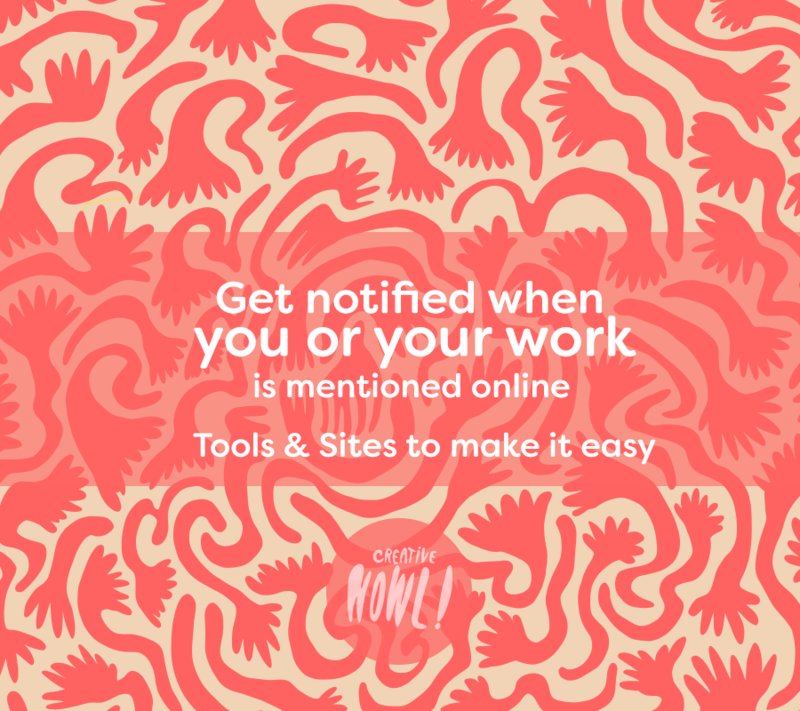 Get notified when your name is mentioned out of curiosity, you never know if a customer, client or someone who just seen your work will mention you somewhere, and when people do it can be quite exciting! Thanks to having a alert for my girlfriends name and hashtags (she is also a designer & illustrator) we found one person on the other side of the world that tattooed one of her illustrations on their arm, we also found someone who has my girlfriend’s wallpaper on their walls, that was of course really fun for her to see how that turned out. This is basically googling yourself on a larger scale, it can be a great ego boost! Google have so many free tools available it can be hard to keep track of them all. Google alerts is a simple but powerful tools that can be useful creators that want to be up to date when your name or any other relevant phrase been mentioned online. It works like this, you enter different search terms that you’re interested in, and when new search results with these keywords are mentioned you’ll get a email notification showing you where and when that search term been mentioned. If you don’t want a notification every time someone uses a certain hashtag you can also use Instagram’s feature to follow hashtags, then new images posted with that hashtag will appear in your Instagram feed. 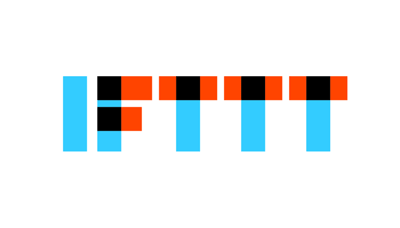 Notify.ly let’s you choose a name, brand name, company, event or other phrases that you’ll get notifications when mentioned on a bunch of different social media platforms, Reddit, Tumblr, Twitter, on blog and other mediums. It’s free to use for up to 50,000 mentions every month, so for a freelance designer/artist the free options will be more then enough. Mention is also a service that let’s you track your brand or name online, you’ll get a notification when you’re being mentioned on social media or ells where online. Mention is mostly aim towards businesses but could also suit a larger artist/designer that’s getting a lot of mentions on different social platforms, this is a service with a monthly subscription (starting at $29/month and up), but there’s a free trial to try before deciding on anything. There’s also several tools and services that let’s you search online using images of your choice. This is perfect for any creator that want to find out if your art has been stolen or if someone shared your work and forgot to mention your name or linked back to your portfolio. Google image search let’s you pick a image to search for online, either by uploading the picture or entering the URL of the image. It’s really simple and you are basically just googling with a image instead of text. You can also search for images that been posted recently or only images that are a certain size, and there’s also plenty of other ways to define your search. Bing.com also have a similar option to search with images, could be a good alternative if you prefer Bing over Google. TinyEye work in a similar way as google image search, simply upload your illustration and this service will scan online for that image. When I tried this service last time I ended up with more results then when I used Google, but there were also a lot of duplicated search results. These two tools seem to work in different ways so I would say it’s worth using them both in case they find different results. Tinyeye is free to use if you just use their search function, but there’s also paid option available that will automate the whole process, you can then choose which of your images Tinyeye should search for online, and then the service will notify if any of your images is posted somewhere. These additional services are quite pricey and nothing a independent artist or designer can afford, it’s more aim for businesses. Picmath is a great image monitoring service that let’s you search for a large amount of images at a time. This is a huge time saver if you have a large image library you like to search for. I suggest you try their free trial to see if it’s something worth using, because after that there’s a monthly cost. The cheapest option is at $10/month and that let’s you search for up to 1000 images, but limited to 1 bulk search for each month.